Agriculture currently feeds over six billion people as compared to an estimated population of four million people fed during the period of hunting and gathering practiced by man in the primeval days. While agriculture is considered to have the capability of taking care of the food needs of 8–10 billion people, concern is raised on how this thoughtful ideology could continually be achieved, using measures inclined with sustainable approach. Sub-Saharan Africa (SSA) remains the poorest when compared to other regions of the world, as the average real per capita income in 2010 was $688, in constant 2000 US$, compared to $1717 in the rest of the developing world. While agricultural productivity continues to improve in industrialised nations, the reverse is the case in Africa. In 1983, 1990 and 1993, Africa had a declining grain production and food legume yields from 87 % ha−1, during 1979–1981 to 71 % for 1991–1993, compared to a change of 78–74 % in South America and 151–308 % in Europe. African farmer obtains over 2.47 t of cereal per hectare as compared to the 5 t; 12.5 t; and 17.5 t cereal per hectare obtained by the Indian, Chinese and American farmers, respectively. There is a need for the agrarian community to have more information on soil fertility and crop productivity. This review reveals that soil texture, soil structure and soil constituents include the critical factors for crop productivity. N and organic C are higher in clayey soils than in loam and sandy soils. Best management of irrigated soils includes increasing organic content by incorporating pasture phases into cropping rotations; reducing tillage or avoiding the tilling of the soil; covering the soil to avoid raindrop impact; and the addition of gypsum for displacement of sodium cations. Soil salinity remain the most serious problem of soils in many parts of Africa. Plant species reach an optimum growth at salinities of 5–25 % of standard salt water level. Tree planting, use of halophytic plants and the application of plant physiology, genetics and biochemical approaches involving the modification and breeding of salt stress tolerant varieties or cultivars are means of managing soil salinity problems. Biological process of nitrogen (N2) fixation, precision nutrient management and the use of organic fertilisers are effective tools for maintaining sustainable yields. It was suggested that chemical fertilisers could be safely applied to soils used for leafy vegetable growth, in the neighbourhood of 20 kg N ha−1, 30 kg P ha−1, 40 kg K ha−1 in form of (2:3:4) fertiliser in planting furrow. Depending on the type of crop, composted, dried and pulverised chicken manure may be applied from 12 to 24 t ha−1 for the growth of leafy vegetables in soils with low nutrient availability. Also, soils of low biological activities. Cattle manure can be applied to soils between 180 and 210 t ha−1 while goat manure can be applied from 60 to 90 t ha−1. Farmers should always give consideration to the sources from which manures are obtained as storage conditions of these organic materials affect the quality. 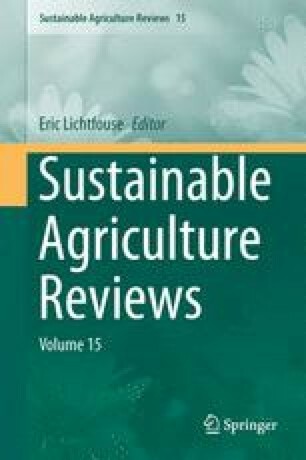 Thanks are to be given to all the various agriculturists, researchers, scientists and academics to which the information retrieved from their various research findings, reassessed works and paperbacks contributed to this review work. The relentless support provided to the authors by the management of the Vegetable and Ornamental Plants Institute (VOPI)-ARC, is greatly acknowledged. The technical support provided by Mr Managa Lavhelesani Rodney, VOPI-PDP scholar, towards the arrangement of some of the pictures that featured in this chapter, is greatly acknowledged. Opinions expressed and conclusions arrived at, are those of the authors and are not necessarily to be attributed to the Vegetable and Ornamental Plants Institute of the Agricultural Research Council, South Africa.